The Ibercup in Cascais iss a great experience for me, because it showed me so many new sides of refereeing. During my visit to Portugal I observed lots of referees with potential and was happy these (mostly) young lads are willing to improve themselves. In 2019 I’ll be joining the tournament again. 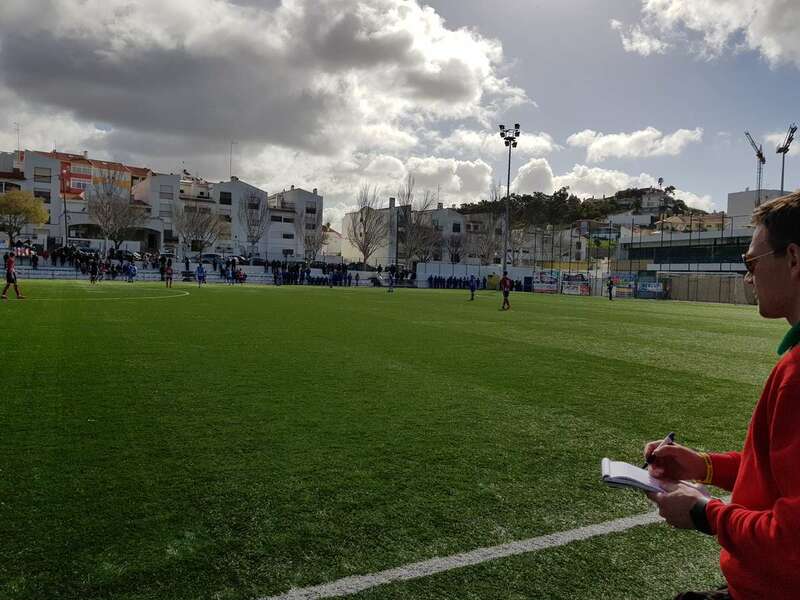 This blog story is about my six days in Cascais as a referee assessor for Tournaments Abroad. But it also shows why tournaments like this can help you as a referee on your journey to the top. The football tournament shows different cultures and styles – not just from the teams, also the referees. Some referees are not used to neutral assistants, which influences their running patterns. Others tend to use less hand signals, because that is not common in their country. Let alone the language barrier. For referees English is the language, but not all kids (u9 – u15) or coaches talk English. That combination is a great challenge for referees, but also a good learning experience. For me it was good to notice some habits or differences are not crucial, because I am used to it in The Netherlands. Some other habits work out well on the pitch. For the referees it shows how important good communication skills are. Plus how important it is to talk with your assistants about what you expect from them. Even when you’re back home, a good briefing will improve your team work. Who is responsible for your own development? Yes, it’s you. It is important to keep that in mind all the time. For me it was great to work with more experienced referee observers. I was able to discuss situations and how they would interprete that or how they would help referees. I love that. Some referees do have the drive to improve, but this tournament gives you that for sure. For me it’s great to learn from experienced UK assessors of people involved in Uefa’s Centre Of Refereeing Excellence. For the referees tournaments are a bit of competition. Not a bad one though. If you go to Portugal you would be very happy to reach the final. That’s an honour. Referees gave there very best and listened to the observers and refereeing colleagues carefully. That could help them during their next game. Referees were so keen on getting their assessment reports, they asked me a lot about it. And then the moment the finals are appointed. It’s great to see the emotion, because that’s what they’ve worked hard for. I was in the school to grab dinner and saw refs cheering and high-fiving after a great appointment. A tournament like this gets the best out of you as referee. And it feels great when it gets rewarded with a final. A tournament like this is all about refereeing. Tournaments Abroad will get you a room in a school or you can upgrade it to an hotel room. You start the day early with breakfast. Then you go to your games with a minibus or public transport. You’ll do 7-aside games on your own or work with a team of four referees and change roles constantly. Then you’ll go back to the central school for lunch and in the afternoon you might even get out to some new games as well. Also dinner is provided, where you eat with fellow refs. Busy days, but who doesn’t like days full of refereeing? At tournaments like this you get the chance to work with referees from more than twenty countries. It is the perfect opportunity to meet new friends – all with a great hobby. Meeting new people is a great experience. I hope you can do this one more day as well. For who is interesting to know more? On Instagram.com/DutchReferee you’ll find lots of pictures. Just reply or e-mail me to ask more about tournaments like this.